I always get a big laugh when the bad guy in a movie gets a laser dot put on them. It's always solid as a rock. "I will teach my children weapons and warfare, so they might teach their children science and law, so they might teach their children art and literature." Took my wife to the range today to try out the Sig Sauer PS2022 with a crimson trace, Now she wants a laser for all her guns. I hate the cost of showing my wife new toys. I had a rail mount laser on my G21, hated it because it was too bulky and with the recoil of the 45, it moved alot. I sold it and if I ever get another one, I will get the lasermax guide rod. Anyone have experience with a SureFire X400-U? Ruger LCR .38, Crimson Trace (red). I've sure thought about looking at the green. I've read that the green is visible in daylight while the red is not as we both know over a couple of yards. 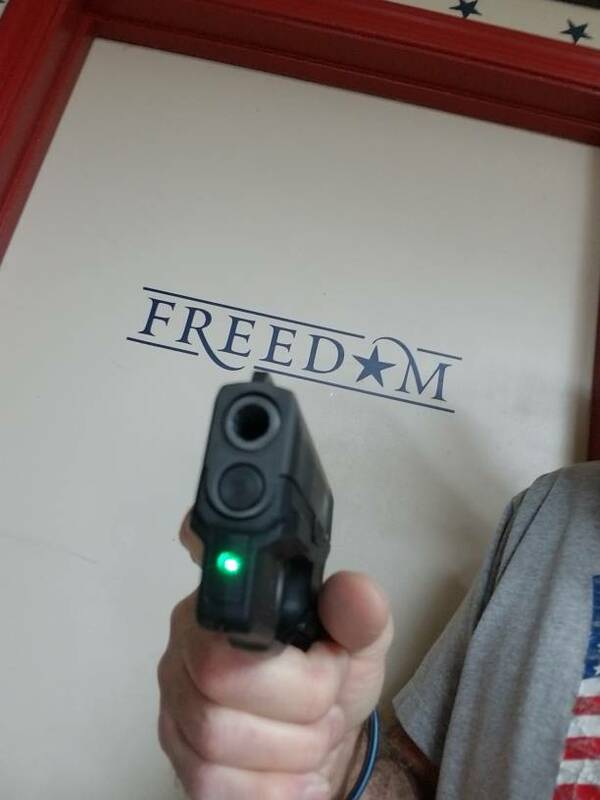 During daylight, iron sights are the normal, but I've always thought that if you became incapacitated and had to shift to weak hand, or were barely able to use the pistol at all, a dot may be a last resort either day or night. I have a green Lima365 on my Sig P365. Love it. Nice rig! That sig is really popular. Haven't shot it for 3-4 weeks. I have put 10,540 rounds through it so far. 1100 rounds of Federal Aluminum & the rest in Brass. ZERO problems. Siggy is one tough little gun. Target is from last month slow & rapid fire. That's a heck of a round count. Impressive actually. Your ammo distributor must have you on their short list of those to answer the phone no matter what!